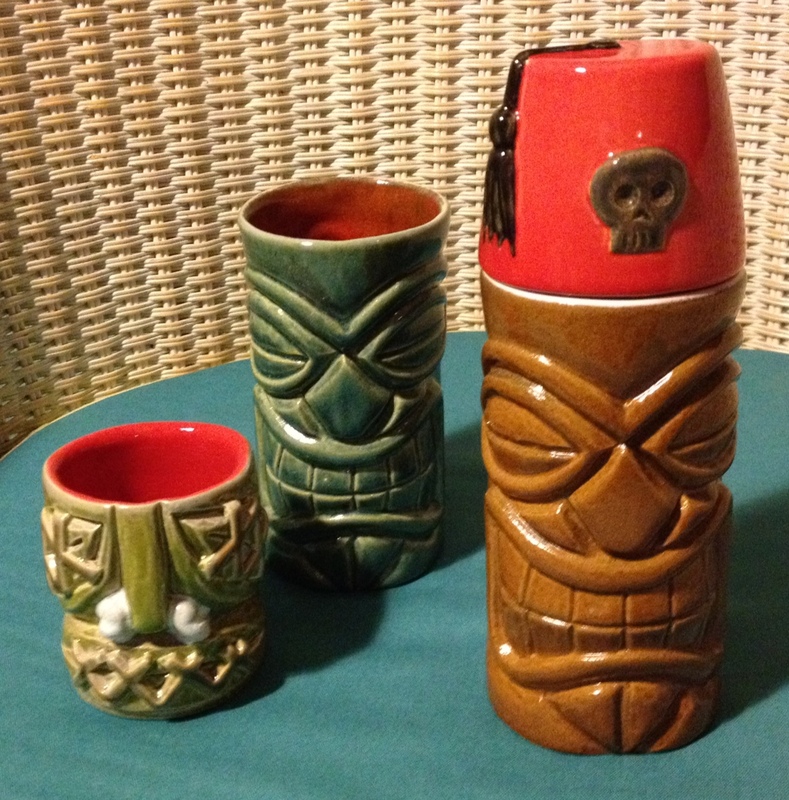 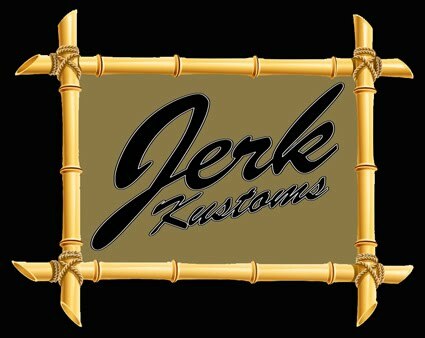 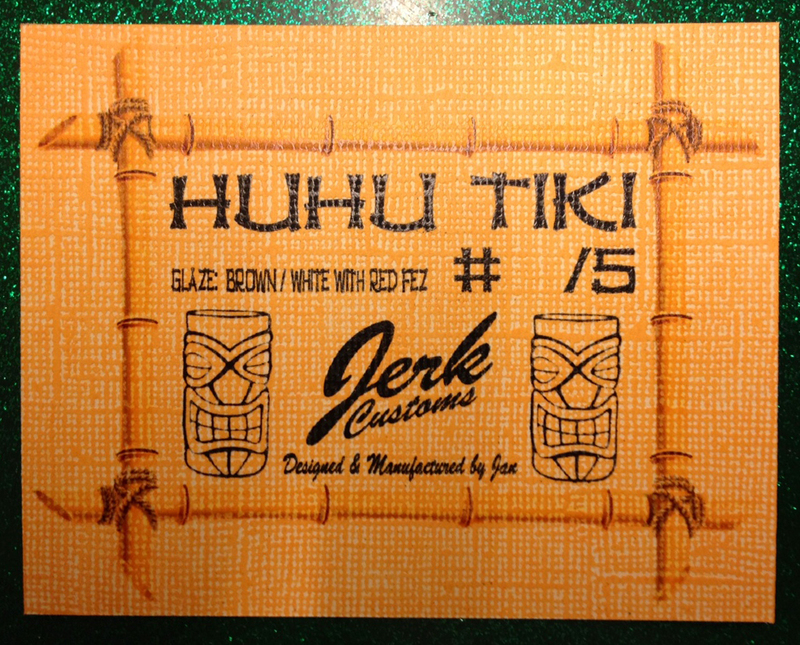 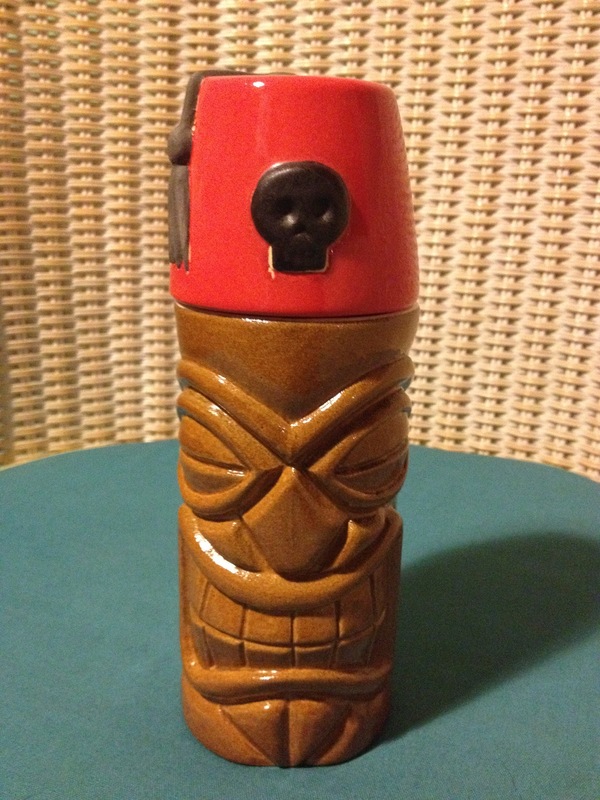 After a few molds that do not work and countless hours of work are these my first Tiki Mugs. 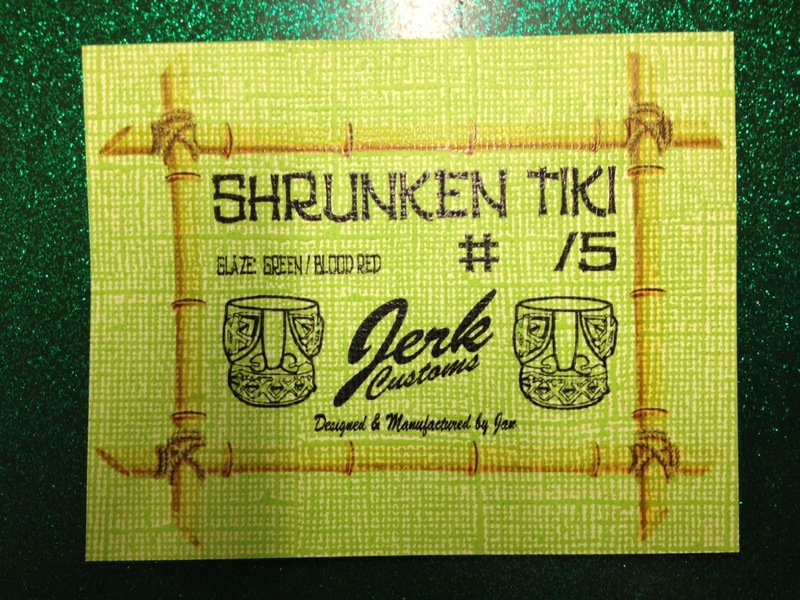 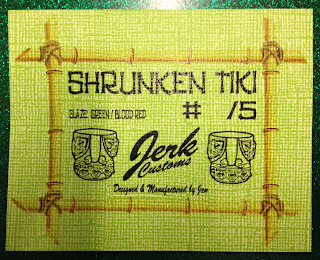 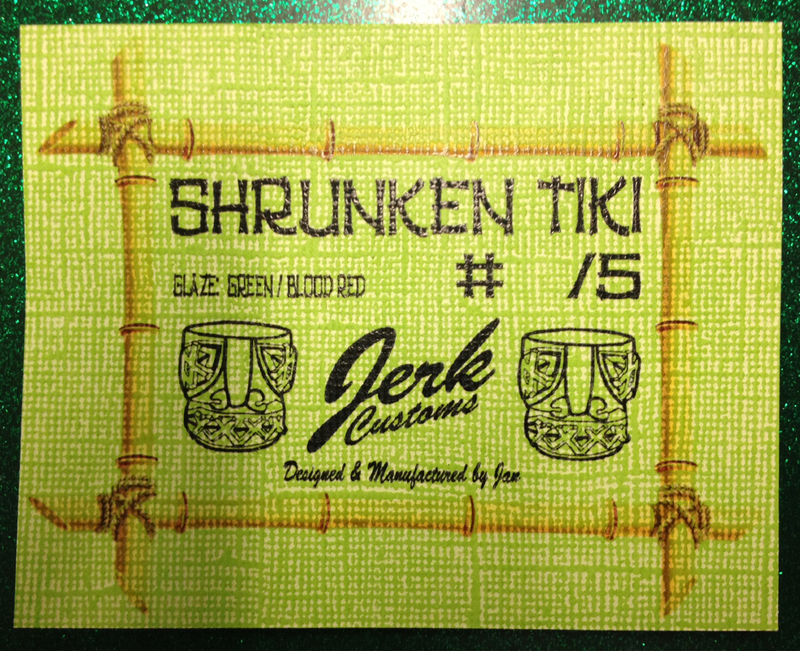 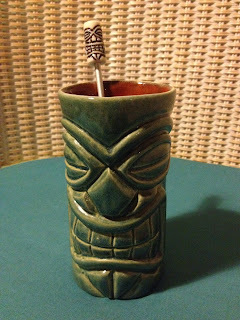 The first mug i've made ​​is a small Shunken Tiki Head. 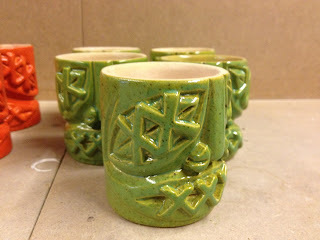 From this i have made a red test series and a green version of 5 pieces (all numbred). 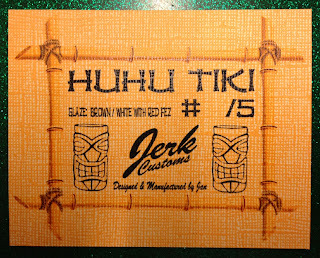 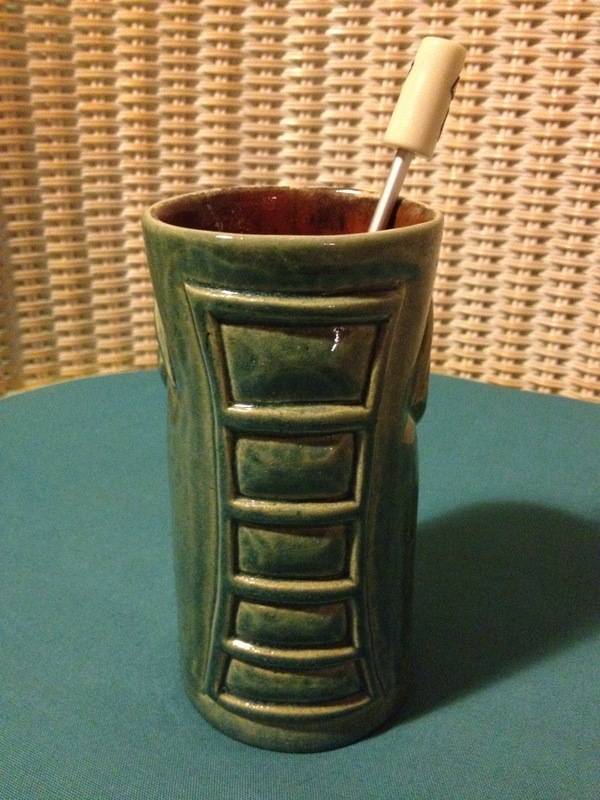 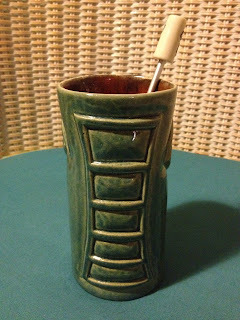 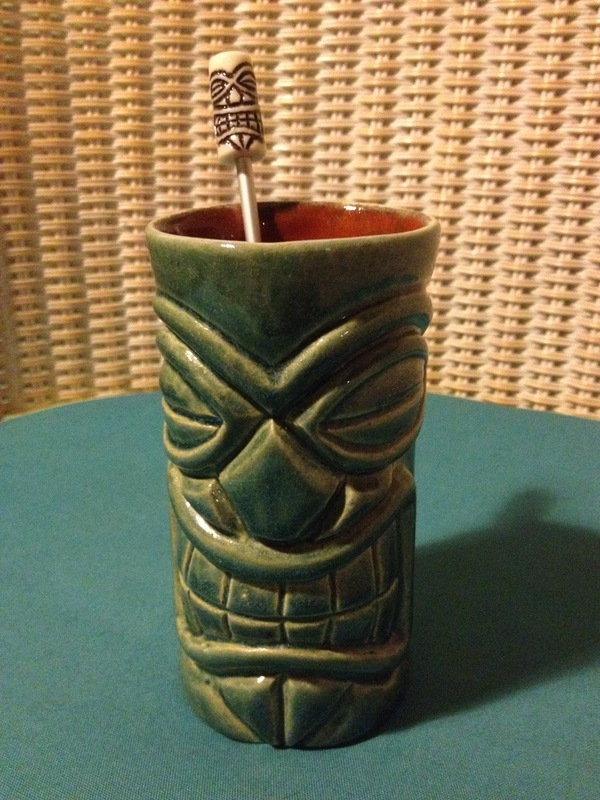 My second mug called HuHu Tiki (angry) which i made in a blue-green version with a swizzle stick (5 pieces/all numbred) and brown one with a red fez hat (5 pieces/all numbred).